2014 has been the year of the young adult. Series have ended, new series have begun. We've swooned, we've cried and squealed our way through our favourite reads. Each week I'll feature a new list of my favourites for 2014. Want to join in on the fun? Post your own favourite covers of 2014 and link me up in the comments section. 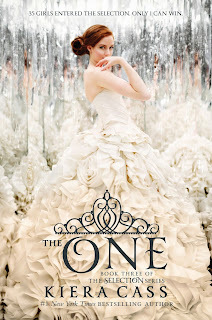 This week I'm featuring eye catching, beautiful covers. 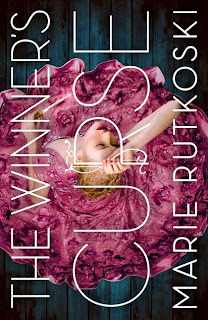 Without a doubt, one of the biggest book releases this year has been The Winner's Curse, renewing our love of beautiful covers featuring lavish gowns. Honorable mentions to both The One and Evertrue. The Minnow was by far my favourite artistic cover of the year, but followed closely by A Thousand Pieces of You and Rain. I simply love watercolours. 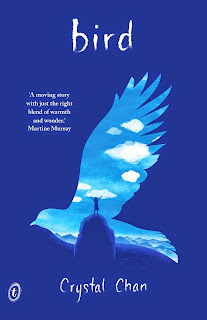 Bird by Crystal Chan was simply beautiful, and the cover is a perfect representation of the simplistic and magically storyline. 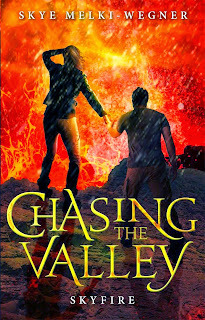 Chasing The Valley Skyfire wrapped up one of my favourite Aussie series and I simply love the cover on The Body Electric. 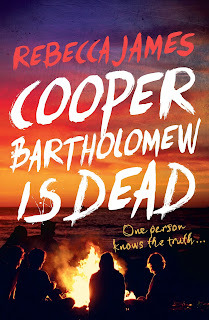 Cooper Bartholomew is Dead By Rebecca James is not only a phenomenal book, but I love the furious font used on the cover. Honourable mentions to both Belzhar and Cracked. 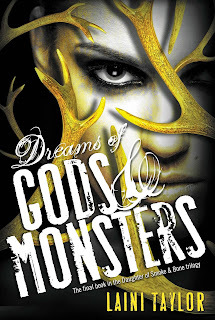 Dreams of Gods & Monsters by Laini Taylor is about as badass as you'll find in young adult fiction. Close behind is both Spark and Heir of Fire. Not all covers need to make sense. Some are pretty just for the sake of drawing your attention. 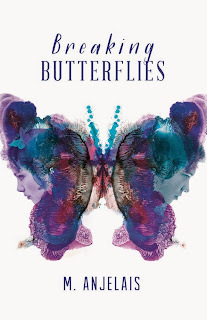 Both The Strange and Beautiful Sorrows of Ava Lavender and Breaking Butterflies were both beautiful covers without any substance for me. 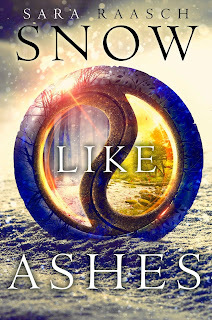 Snow Like Ashes is a title that is high on my to read list. 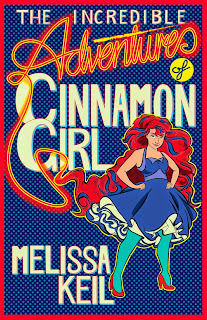 The Incredible Adventures of Cinnamon Girl could have featured in several categories, especially badass covers. I simply adore the retro comic style cover. Slip and Searching for Sky also made the list. 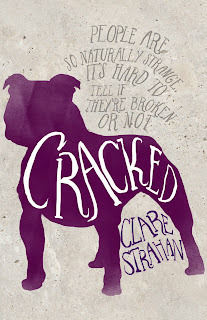 What would a beautiful covers list be without one of the titles in the Starbound series. This Shattered World follows the same theme are is one of my favourite covers to date. 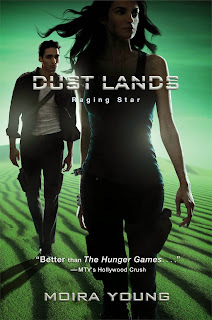 I also love the silhouettes featured in the Dust Lands Trilogy, Raging Star being the final edition of the series and Take Me On. 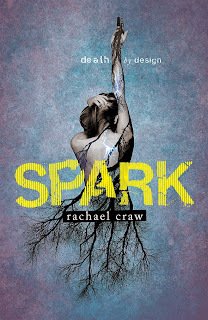 The Australian release Katie McGarry covers are always edgier than the international releases. What has been your favourite cover so far this year? Join in and post your own pretty covers for 2014 and link me up in the comments. It wasn't hard either, there's been so many awesome covers this year. It's much harder to pick a favourite though. Love the typographically pleasing covers. :) Overdressed and overdone. I wish it would stop. Seriously. Staph. I love the illustrations too! And the artsy ones. There's been so many beautiful books so far this year, it was actually hard to limit it to just these. I'm thinking a part two might be in order in a few weeks. Thanks for popping by Joy. These are gorgeous. I completely judge a book by its cover. And the ones mentioned here are absolutely beautiful. My favorite would be the Incredible Illustrations. They just really catch your eye. Thanks for the list, I'll try to see if I can come up with mine. I do too Ana, as much as I try not to. I've actually read most of these and there would only be five that haven't lived up to their gorgeous cover. Based on that percentage, we can totally judge books by their covers. So could I. Too much prettiness, it's almost a sensory overload. I was quite proud of that one, It's like a really bad daggy dad joke. It's the watercolours. I don't know why more authors haven't cottoned onto how pretty they look. They could whack a shopping list inside and we'd still all buy it. So much prettiness!! 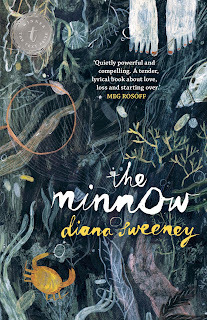 I agree The Minnow was gorgeous, and was part of the reason why I bought the book. I'm terrible because covers always draw me in and more than often I will regret buying them. 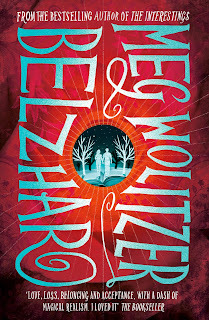 We could probably do an entire post on pretty covers and terrible books. I liked The Minnow too, but I think it had some sort of greater meaning that I just couldn't connect with sadly. 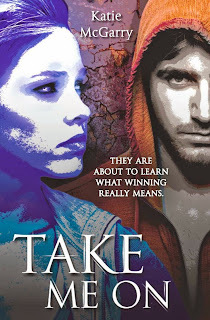 I just checked your post out, and so many more stunning covers! I haven't seen quite a few of your choices, so going to spend the afternoon checking them all out on Goodreads. We all need more pretty covers on our shelves. Thanks so much for joining in poppet. It is isn't it. It's so hard to pick a favourite, but that's right up there for me too. I hope we see more artistic covers next year and more with spectacular fonts. 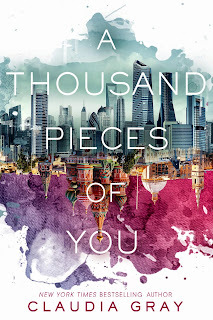 I love the covers of Winner's Curse and A Thousand Pieces of You!! They're so pretty, and if I ever publish a book, I want my book to be as beautiful as theirs :D Other covers seem amazing as well, but those two are my favorites. Thanks for sharing this, Kelly!! 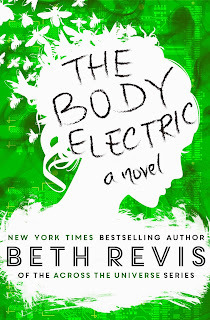 I'd love to write a book, just so I can have an awesome cover like that too. It'd be the only reason it would sell. Everyone would want a copy just to stare at how pretty it is, no one will read it though. I should pitch this to someone. Somewhere. Oh Kelly you picked so many gorgeous covers, especially my favourites A Winner's Curse, A thousand pieces of You and This Shattered World. 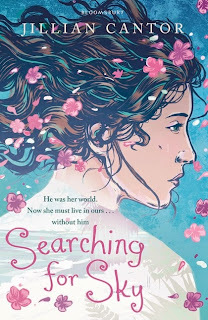 I kind of wish my copy of Searching for Sky came with that beautiful cover as well! Great picks lovely. Me too. Although I didn't enjoy the book. At all actually. 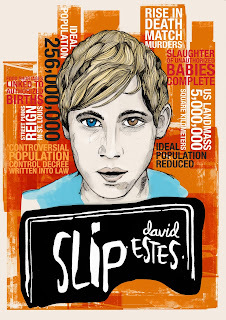 It would have ended up just another pretty cover without substance for me sadly. I thought I could have been a little ruder with some of them, but kept it all above board. Looking at my shelves, I actually don't have many books with green on the covers. Is it just not a popular cover colour? Try saying that fast a few times. Those Starbound series covers are just stunning. I can't wait to see what book three will look like! All of them floating in space? Thanks Kelly. Wow, that's like talking to myself. Kelly, meet Kelly. I'm an Aussie. No, I'm an Aussie. We could totally be the same person. I could be you... But from the future. Seriously, I haven't been drinking. All these covers look so beautiful...but yeah, Minnow makes my heart throb. It reminds me of Arietty...it's gorgeous! Is that the movie? Had a Google and a film of the same name popped up. Will have to check it out. The Minnow is beautiful and has silver accents across the cover too. It's delicious to touch as well. So incredibly artistic! I own a lot of these, there's a few I have on Kindle and some I need to buy in paperback just to have the prettiness on my shelves. Ava Lavender is lovely, but it's one of the titles that I couldn't get into. I made it around a quarter of the way through and had to abandon it sadly. Fingers crossed you have more luck than I do. I love watercolours too. They just look delicious and so whimsical. I hope we see more artistic covers coming out next year, they look gorgeous on our shelves. Mine too Zoe. They're all so pretty, and these are only half of them I'd picked. I'll post up a part two in a few weeks, just to blind everyone's retinas with the images of pretty watercolours and stunning frocks. These are some pretty gorge covers... 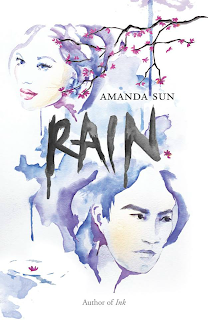 I especially like Amanda Sun's "Rain" , Anjelais' "Breaking Butterflies", and Brodi Ashton's "Evertrue" [I'm a cheap sucker for pretty dresses]. Me too Manda. Anything with a long flowing dress and a little bling and I have to buy it. It could be about murdering trolls and albino unicorns with bikini wearing midget jockeys and I'd still buy it. I'm a sucker for a pretty cover. First of all, I LOVE the category names. 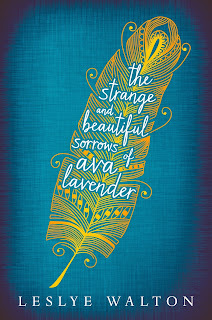 I adore the cover of A Thousand Pieces of You, Heir of Fire, Spark and The Strange and Beautiful Sorrows of Ava Lavender! So much prettiness. I love this post! Thanks Naban. You should totally post one too. I'd love to see what covers make your list. You serousily picked all the beautiful covers here! I love each and every one of them and they all immediately make me want to pick up the book! They do don't they Lily. There's a few more I should have included like Blue Lily, but I'm saving those for part two. I think in all fairness, we might need a bad book covers too. I've got a few doozies to put on that one. Thanks Sarah. So many incredible covers this year! I still have a few to pick up myself too. Thanks for stopping by. 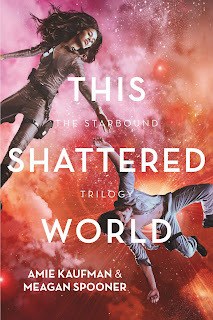 I loooove This Shattered World. I think I may steal away with it and marry it. Just sayin'. (I have totally yet to read it though, but pffft, of course I will love it.) I LOVE THE PAINTING ONES. The Minnow is my favouritest of all, I think, but I adore Bird. 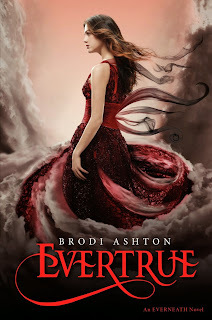 I do like Breaking Butterflies and Ava Lavander (even though I hated those books...boo to me. I'm so sad). AND ERMAGERD YES TO CELAENA SARDOTHIAN, WHOSE NAME I CAN'T SPELL BUT WHATEVER. I LOVE ALL THOSE COVERS. I can barely say it, never mind spell it. So you're already one up on me. I didn't like either of those either. Probably said either too many times. Although just saying it again probably wasn't necessary either. Might just quit while I'm ahead. Those are such beautiful choices! I'm sad to say I don't know what's on the inside of any of those books, but all the same—definitely something gorgeous to brighten up the morning! Some of them are worth buying just to stare at. Or lick the cover. But only the shiny ones. Those matt finish covers don't taste nearly as nice. What a great idea, Kelly. All these covers are so drool worthy. I don't even know which cover is my favourite, there are so many good ones. 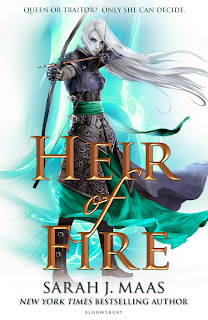 I do love the Heir Of Fire cover, and that was one of my fav reads of 2014. Such a great idea, and so many beautiful covers. Great post! Jump Girl Release Day and GIVEAWAY!